I don't have any on me. I'm waiting for new cards. Here, let me put my information on my boss' card (or some other non-related card they dig—and I do mean "dig"—out of a purse, wallet or pocket). What? These people are going to an event designed for networking and don't have any business cards on them? Are they not planning on making any contacts for sales or other opportunities? Okay, I'll cut these folks a bit of slack since many chamber of commerce and networking group events are primarily attended by familiar faces. So they may not be expecting to meet anyone new. But in my experience, there are usually a few new folks at every event. So I almost always carry about 20 to 50 business cards on me. Bring Enough. Always carry a supply of business cards wherever you go, especially to networking events! Depending on the event and its activities, that supply could be 20, 50 or more. Wear or Carry Something with Pockets. A networking event is a performance art! Have a supply of business cards easily accessible to quickly and smoothly draw out a card to give. Keeping them ready in a jacket, slacks, skirt, or bag pocket makes it easy. Might even want to practice to make it a natural movement. No digging around in a bag or wallet! In case you're curious about what the standard business card size is, it is 3-1/2 inches wide by 2 inches high for horizontal or landscape orientation. For vertical or portrait orientation, it is 2 inches wide by 3-1/2 inches high. In marketing, using odd size marketing materials can gain attention. But when it comes to business cards, stick with the standard size. Why? Though today people often enter the info from business cards electronically and then pitch the actual card, there are many who do still retain cards as backups. (Confession: I still use my business card files all the time!) Non-standard cards don't fit in any standard size storage containers or folders. Here's an example of what happens when an odd size card is used. A graphic designer I met once wanted to show how cool and creative she was. So, if I remember right, her business card was around 5 to 6 inches wide by 2-1/2 inches high. It was beautiful. However, I didn't know what to do with it. It didn't fit in any business card file I have. So I folded the darn thing to try to make it fit. It didn't. So then I resorted to trying to cut the card to fit. Let's see, should I cut off her business name or her contact info? After a few minutes of deciding what to do with it—and deciding that I wouldn't be needing services from her anytime soon—I put it in a container in which it would fit: the recycle bin. Use Standard Business Card Size. Fit your information within the 3-1/2 inches by 2 inches standard size limit (horizontal or vertical). It will cost less since special size cuts and papers can get expensive. As well, people will be more apt to file it away instead of throw it away. Use the size limitation to get creative. Go Matte or Flat. 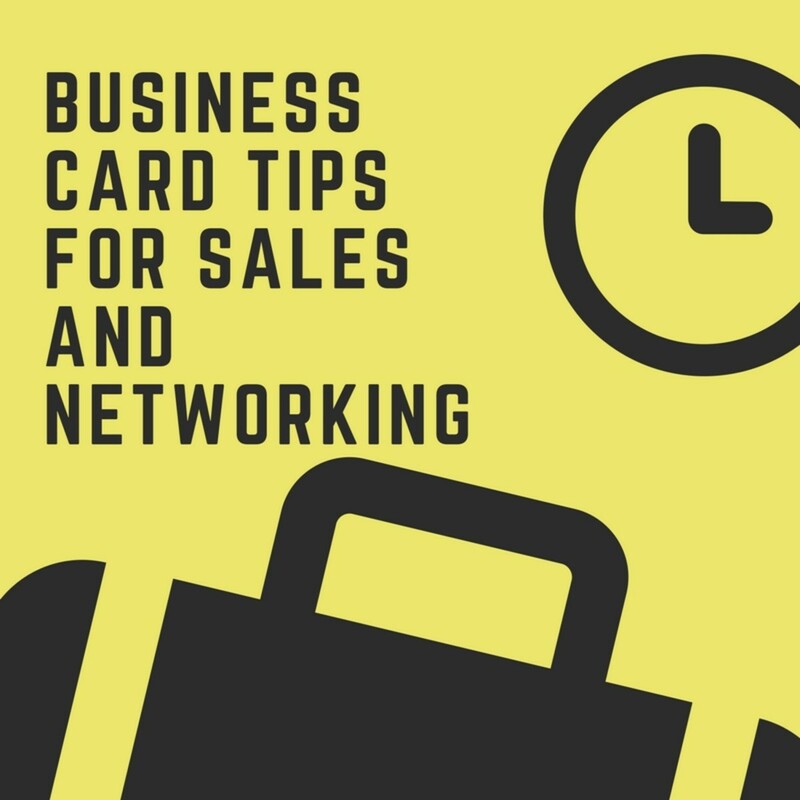 Make sure that at least one side of the card does NOT include gloss or varnish coating to allow for people to write notes on it while networking. Get Real. While it's tempting to print cards at home, they always look like they were printed at home. Many business cards available online are so cheap with good quality that it doesn't even pay to print them at home, especially when the cost of the special printer papers and ink cartridges is factored in. Color Your World. Because full color printing is getting so cheap, there is little reason to stick with vanilla black-and-white business cards. Plus, color builds your brand! Use Magnetic Business Cards Only Where Relevant. 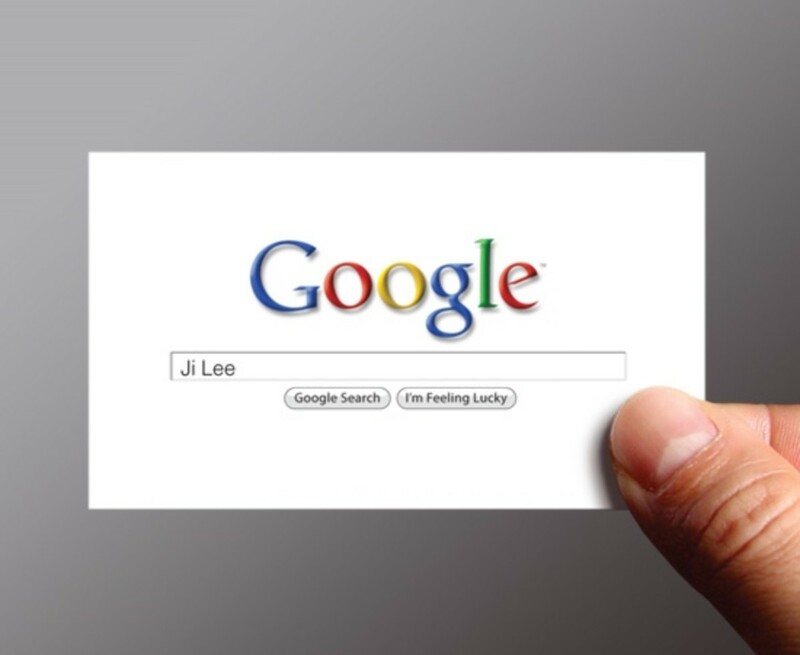 Only use magnetic business cards if the type of business demands it (home, on-demand or frequently used services could be candidates for them). With fewer magnetic surfaces available in homes and offices, magnetic cards are less useful than in the past. I don't put my phone number on my business cards. Shocked that someone in sales would do that? I have my reasons. And, yes, they do deal with how I sell. Years ago when I was doing some heavy networking, I put my phone number on my business cards and handed them out in stacks. It got me lots of phone calls, but not the ones I wanted. Every person who wanted to sell to me decided that cold calling me on the phone was a good idea. Plus, there were the brain pickers and crackpots. They would phone me asking for marketing advice (for free, of course). Then there were those who wanted me to play therapist (again for free) on every imaginable business problem. Or they just wanted to rant about this topic or that. It all amounted to a huge waste of my time. And since much of my work requires a significant amount of focus and concentration, I don't need calls from those who want my money, advice or attention without my consent. I cannot imagine ANY scenario where my writing or speaking services would require a phone call for emergency service. I handle phone calls the same way I handle in-person meetings which is by appointment. My sales funnel is designed to filter out those who absolutely cannot put into an email a few words about what their issues or needs are. That's a clear signal they don't know or understand what they're buying and could be problem clients. HOWEVER ... there are many businesses where a phone number is absolutely essential on a business card. Plumbing, heating, towing, ambulance, and urgent healthcare centers would be prime examples of those that need it included. Any business that provides emergency help or is set up to handle telephone sales would need a phone number on a card. For these folks, email might be the contact info they eliminate! Consider Your Sales Funnel. Do you want business to come to you by phone, email, Internet or by people wandering into a brick-and-mortar location? Let your sales funnel(s) guide what contact information elements should be included or given prominence on the card. Not at Home. For home-based businesses that do not want people stopping by, including a physical address can present a host of annoyance, privacy and security issues. Use a post office box or eliminate the physical address entirely. 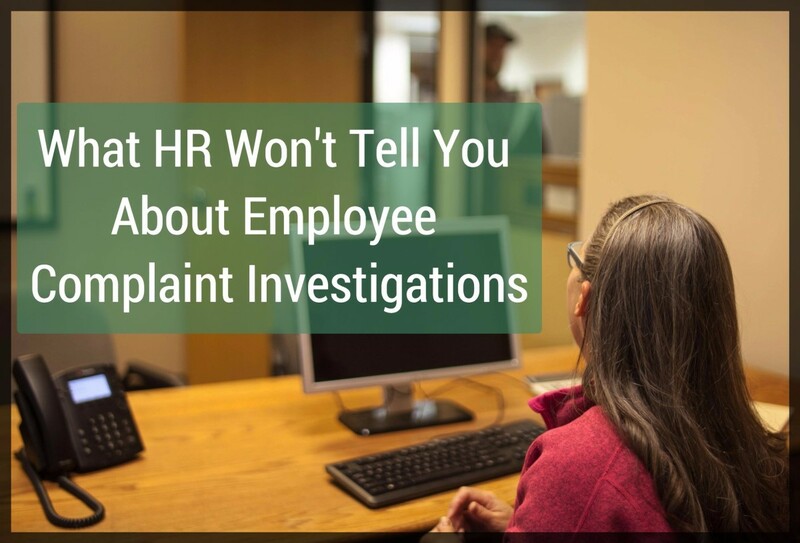 Also consider using separate business phone lines for similar security and privacy reasons. Because I'm a speaker and author, and I want people I meet to remember me, I use my photo on my speaking business cards. This has been an amazing sales and networking tactic for me. When I attend subsequent events, people can usually remember who I am. Why? Because they can put a face with a name. As well, it fosters a feeling of trust for customers who know there's a real person behind the name. That's why businesses such as real estate and insurance often use their photos on business cards. But this tactic isn't for everyone. Those who feel that having their photo and contact info together out in public presents a security risk should not do it. For those whose insecurity is more about being self conscious and embarrassed, using a photo on the business card could cause them to refrain from handing out any cards, thereby reducing sales and opportunities. Let Emotional and Security Needs Guide Photo Decisions. If including a photo presents a safety or emotional security risk, don't use it! Face It. If security issues are not a problem and the recognition factor is desired, using a headshot on a business card can be a great networking tool. What About Electronic Business Cards? Confession: A few years ago, I predicted the eventual demise of the standard paper business card. I was wrong. But why did I make that prediction? About 2008 or so, social media and mobile technology was exploding. We were using social media to make connections even when in person. We were bumping mobile phones to exchange data. The era of seamless electronic data exchange seemed to be upon us. So why are we still exchanging little slips of paper? Social media is a chaotic universe. It changes almost every day. Plus, there are so many networks and not everyone is on every one. Mobile tech is evolving faster than we can almost keep up. The ways that these devices communicate with one another changes frequently, too. And not everyone has the latest tech. Plus, if transfer of data requires wi-fi, ability to connect will depend on the strength of the signals. So making connections electronically while in person is still a challenge. Go New School AND Old School. 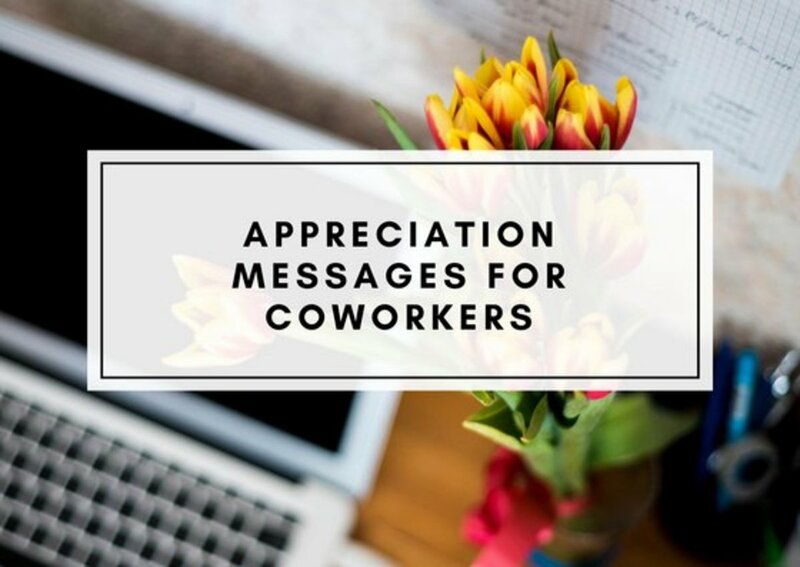 Stay mindful of and experiment with new tech and trends for exchanging information, but ALWAYS have business cards ready to make a connection no matter what! Hi GiftsByDiana! You are right. If you don't hand out your business card, you'll get 0. And they're so cheap these days, that it's a good marketing investment. Yep, the too big and too little cards can be very annoying. But, as you note, they can be a low cost tool for other purposes. Thanks so much for adding your insight to the conversation! Have a beautiful day! I keep cards on me and in the front pocket of my purse because I want them handy to give out. Hi janshares! These days, so many forget about the basic old school networking tools that work, especially in face-to-face meetings. I always have a stack of business cards with me. Thanks for reading and your kind comments! Have a beautiful weekend! Very nice hub, heidithorne. 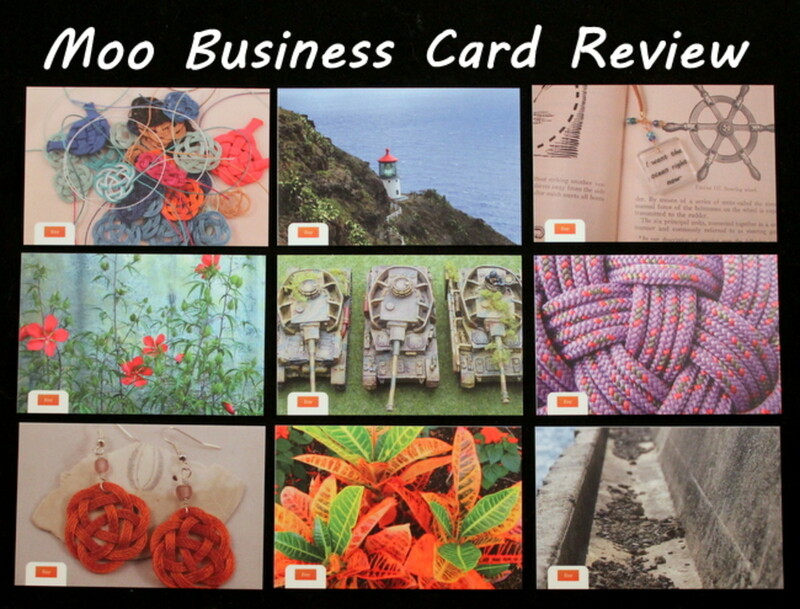 You offer some excellent advice here on the value of business cards and how to use them. I swear by my business cards and brochures from VistaPirnt. I love the statement "Go Newschool AND oldschool." It's so important to be prepared to make that personal connection. Thanks for this one, voted up, useful, and interesting. Hi Victoria Lynn! Happy to provide the reminder. :) When business direction is fuzzy or developing, it is difficult to make decisions on marketing materials such as business cards. I've had the same problem occasionally in the past. If you're anxious to get some so you don't miss opportunities, get the smallest quantity you can and keep making improvements with each new batch. Good luck as you continue to build your freelancing business! Have a great day! This hub reminds me that I still need to get business cards. I have struggled finding my way and what I want to do in the freelancing world. I need to decide and get those cards, as I have already lost opportunities to share my card. Thanks! Hi RTalloni! Glad you found it useful for your upcoming business card order. Have a lovely day! Have been thinking about business cards and this is useful--thanks. Hi AliciaC! 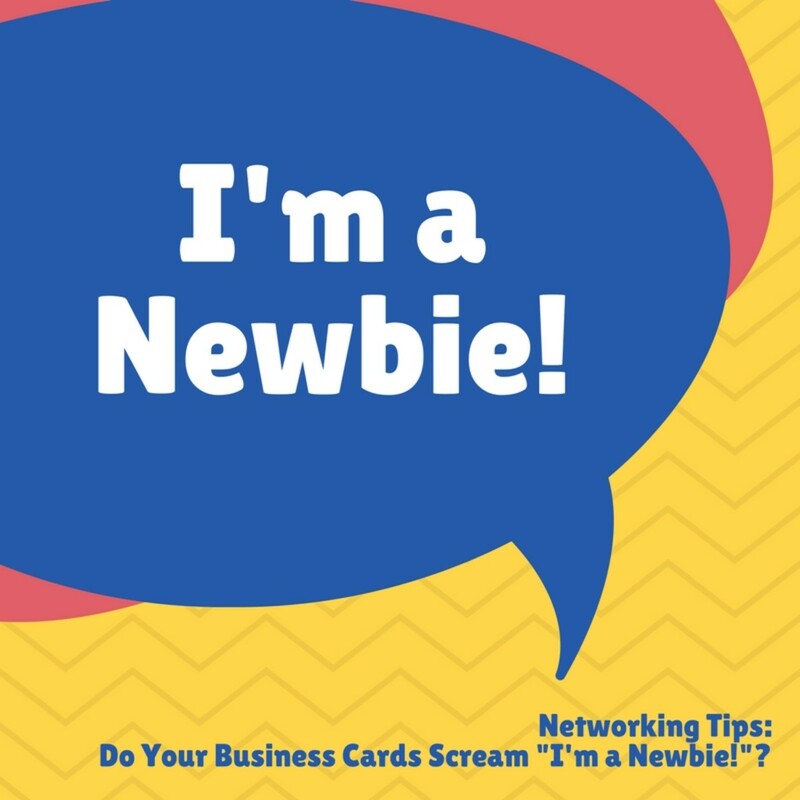 Hope you'll be able to use some of the tips when you get your shiny new business cards. When we need to reorder our cards, it's a good time to rethink what we put on them. Have a wonderful Wednesday! Thanks, grand old lady! Glad you found it helpful. Have a beautiful day! I love the suggestion about not including the phone number. I don't have a business card yet, but I still get a lot of text messages that talk about this and that which they are selling and which are most unwelcome. The idea behind the photo is also a good idea. Very helpful. Thanks for the useful advice, Heidi. I may be getting business cards soon. Your suggestions will be helpful if I do. Hi Elizabeth/epbooks! Yep, standard might be boring, but what's the purpose of a business card? To make sure it's kept and used! Using a photo on a business card is not for the faint of heart, but if it aligns with the person's objectives and comfort levels, it can be a great tool. Hope we'll be able to exchange our cards IRL on day. Have a great day! Very interesting hub. I agree about the standard size of the business card. Similarly, I have a gift card that is all fancy but large and I can't wait to spend it because it is so annoying! lol. Standard is definitely better. Like you, my phone number isn't on my business card, but neither is my photo. I might have to change that. I like your idea. Travmaj, I learned the hard way, too! Just when I bump into someone who would be a great connection, I realize my cards are everywhere but on me. :( So now I just carry at least a few of them wherever I go. In fact, the other day I ran into an old friend at a Starbucks and was glad I had my cards with me to give my updated info. Have a wonderful week ahead! This is so informative and makes so much sense - I am often guilty of not having my business cards on hand when it would be beneficial for me. Will take all your tips and start over. Thank you. FlourishAnyway, you just never know when you'll bump into an opportunity in the real world! :) So, yes, it's probably a good idea to have them on hand. Plus, some of the online sources are so cheap, even at very small quantities, with surprisingly good quality. I've also used the build-it-online templates for labels, too. Check 'em out. Let us know how it works out. Have a great week ahead! I have thought about carrying business cards now that I've got a decent number of hubs. I often talk to people and have the chance to pass out cards. Hmm. Hi billybuc! Guess the universe told me you needed some additional insight. ;) Good luck with the new cards and all the new adventures you have going on. Yes, it's a beautiful weekend here and hope you're enjoying yours as well! Funny, I had business cards printed at a number of jobs (arts, education, and non-profit positions), and never handed out a single one. As I changed positions, I started telling my place of employment not to bother getting cards made up for me. But, as always, you make a strong case for using business cards and I'm going to have to re-think my decision :) Great hub!! Voted up and pinned. I am just about ready to order my new cards, and this was very, very helpful. Thank you, Heidi. I hope you are enjoying the long weekend.